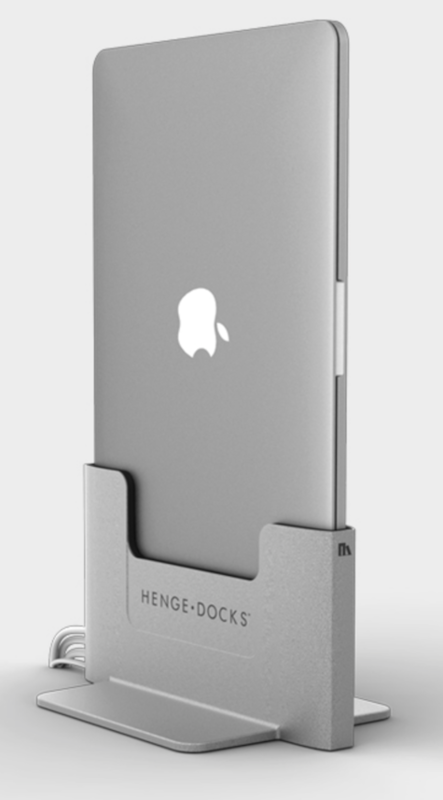 Henge Docks is another solution-focused company, adding style and design to form and function. From their hardware to their User Guide to their packaging, they convey high concept and engineering mastery. Please read through the printed directions and become familiar with the physical configuration before you attempt to insert your precious 15-inch Retina MacBook Pro into the gorgeous vertical dock. Once your computer is in place and connected to external display(s), you will need to attach a USB keyboard to wake up the Mac. 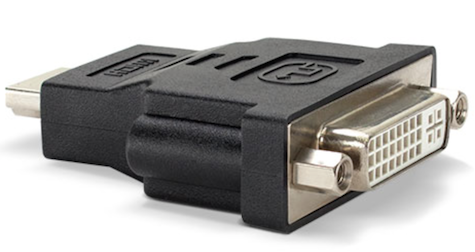 Only one USB cable port is included from Henge, and another is handy on the top edge of your standing-up MacBook Pro. The company’s included port cables, in addition to the single USB 3 cable, are two for Mini Display and one for audio. Instructions are given for using Thunderbolt instead of Mini Display. I urge you to view this helpful video in addition to the included manual. 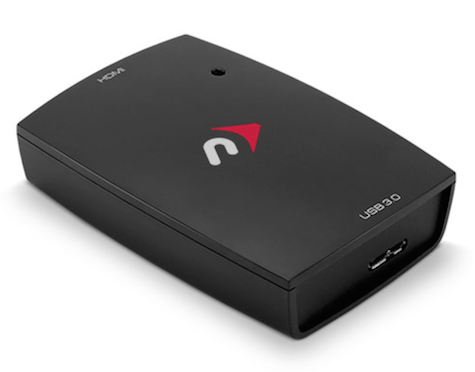 Some purchasers will set it and forget it, using dock+Mac in a permanent studio, home, or desktop environment. Other people will dock and undock frequently. Either way, the first time can be tricky, and subsequent times will be routine. I am typing now on an Apple USB keyboard attached to the Henge USB cable extension, with my HDMI television connected directly to the available HDMI port. The video and audio signals are perfect. 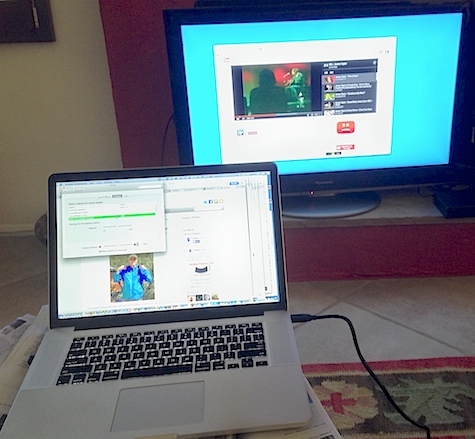 Multiple external displays can be connected to a docked Mac via HDMI and Mini Display Port / Thunderbolt. Well done, Henge. The custom hex key is difficult to see and remove. Make its handle a different color than black, and have it pull out more easily. The printed User Guide has very pale gray type on very dark gray paper. Be considerate and use dark black type on bright white paper. Product liability is limited to $100, which is skimpy given the quality of the dock. At the very least, match the $119 retail price. A 90-day warranty is provided. This dock should last longer than the computers for which it is designed, so a minimum one-year warranty is more realistic.